Shillong: India is prepared to deal with any misadventure by Pakistani troops or terrorists, Border Security Force (BSF) Director General K.K. Sharma said on Friday. "They (Pakistan) keep on infiltrating and sending terrorists. We (Indian security forces) keep on fighting them and you can see that so far we have successfully countered all their nefarious attempts," Sharma said on the sidelines of a function at the BSF (Meghalaya Frontier) headquarters here. "I can assure you that the Indian security forces are fully prepared for any eventuality and we will give a befitting reply to any misadventure from the other side," he added. 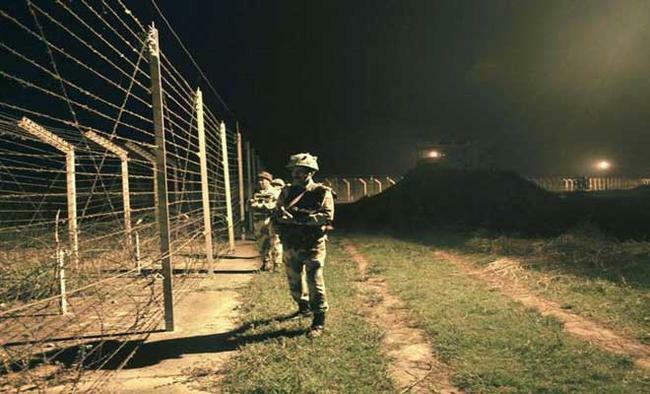 The BSF chief described the mutilation of the bodies of Naib Subedar Paramjeet Singh and BSF Head Constable Prem Sagar along the LoC in Jammu and Kashmir by Pakistan Army as "very unfortunate". "The action was 'un-soldierly' because they mutilated the bodies and beheaded Naib Subedar and BSF Head Constable. That is regrettable. I wish such a thing should not happen again," Sharma said. He said the two were out repairing a communication cable and were hardly 100 yards away from their own Forward Defence Location when they were attacked.